3-in-1 Recycling Line for Wet Flake - China - Manufacturer - 3. 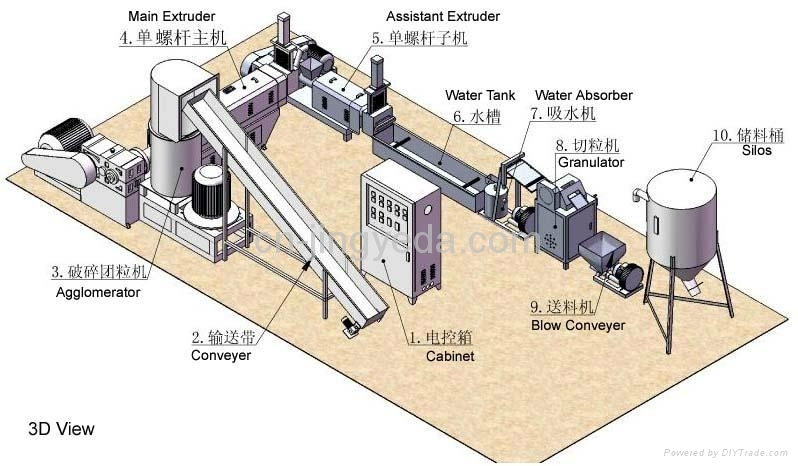 3-in-1 Recycling Line for Wet Flake is a recycling line specialized for wet PE, PP and familiar plastic flakes. It has combined functions of an a forced feeder (with a hi speed roller for forced feeding), dewatering and extrusion. With a conveyer: With built-in E-stop, metal detector + alarm + auto stop. Manual metal pick up. With a Vertical Dewatering Station. With inline silos and inside the silos we may build in a Metal Separator (optional, not included in standard offer price).